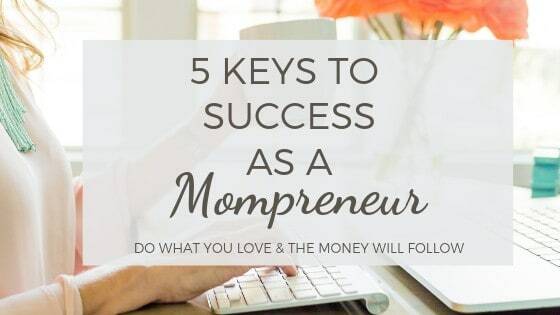 Being a mom and running your own business is no easy feat. You have one hand on raising the next generation and the other slaying your day as a mom boss. So how do you do it? We’ve got 5 keys to success to help you. First of all, Be PASSIONATE about what you do. If you love what you do, working and making an income are met with enthusiasm and eagerness. Not only will you enjoy it, your customers and clients will enjoy doing business with someone who truly loves what they do. If you do not enjoy your line of work, consider what other options you have. Do what you love and the money will follow. BALANCE is KEY! You must make a conscious effort to give adequate time to each area of your life that is important to you. That includes your business, your health and wellness, your marriage, your family, your faith as well as recreation / relaxation. Periodically review where you are in your business and personal life and make adjustments as necessary to meet your goals and to keep your life in balance. Finding balance is one thing; keeping it is another. You’ll want to consciously keep tabs on where you need to make tweaks and adjustments to keep your life as balanced as you can. Be a CONTINUAL LEARNER and frequently seek ways to learn, grow and improve your business. New technology, apps and tools are continually being brought to the market. Make a point to regularly seek out new things to learn. Take online training. There are so many options out there. Ask for feedback and suggestions from those you trust — this includes your customers, friends, family, networking colleagues, etc. Don’t let your business get stale. NETWORK! Look for ways to network with other virtual professionals and small business owners both online and in person. Attend local networking meetings, join online groups, interact to serve and to learn. Be open to collaborating with other small businesses. You will not only gain business insight, you may make some great new friends and connections. Have awesome CUSTOMER SERVICE. Treat others the way you would want to be treated! Clients and customers are generally very loyal to a business that has wonderful customer service. Make every effort to make your clients feel valued and special. Go above and beyond when you can and let them know how much you appreciate their business.